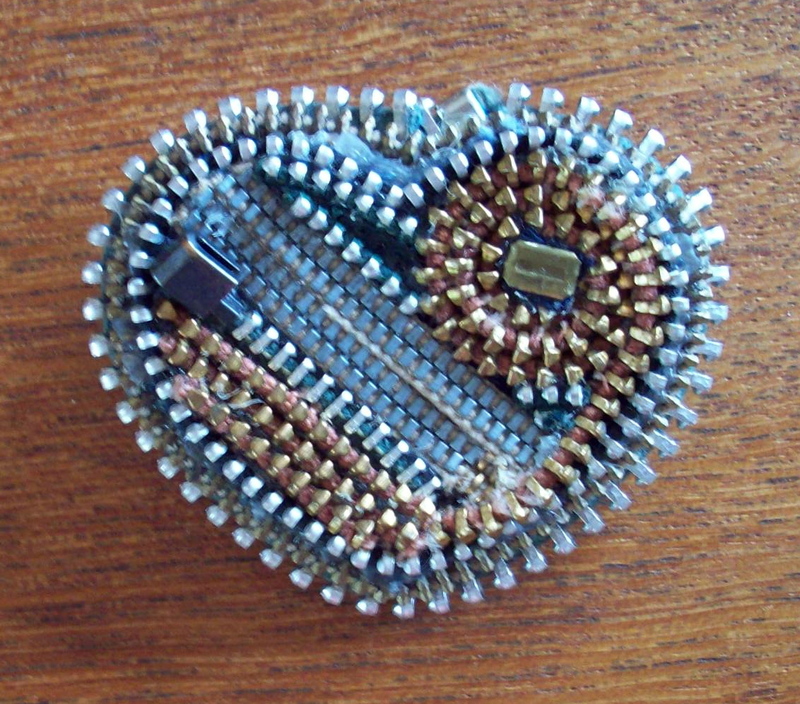 Zipper jewelry, aka jewelry made from zippers, has been around for a long time. I’ve never made it but am tempted now that I ran across a SALE (don’t you just Love that Word!) on Fiber Art trims. Figured it was an excellent item on my Etsy account but it just may get pulled and into my own project stash. The reason for the change of heart? A stuck jewelry drawer–don’t ask! The culprit was a Zipper Pin, hence this blog and possible change of heart. 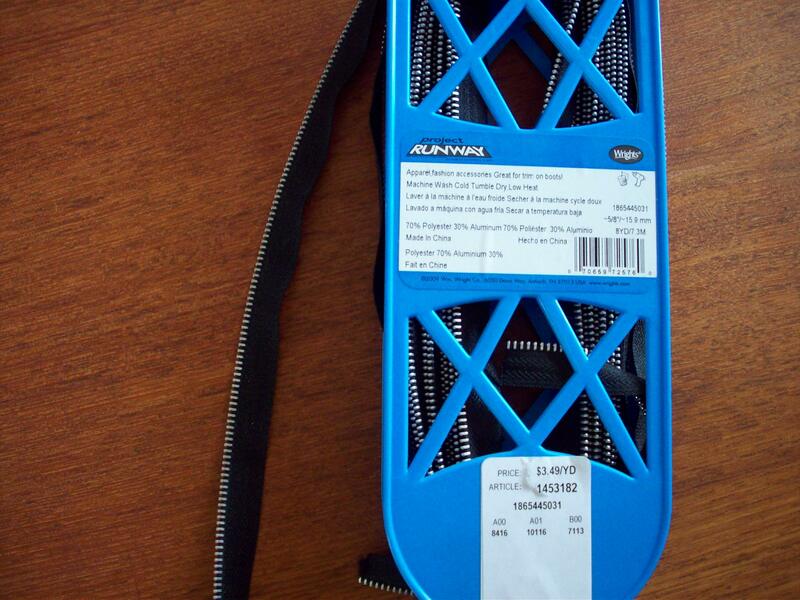 Below is the zipper pin, and the reason am so sure of the date is it was the week of the Oklahoma City Bombing. The sample is very intricate. It consists of a wood block with snips of zippers cut and pasted in place; most of the twill tape has been removed. The original glue has dried up and needs re-glueing. The good news is, glue products have vastly improved and now come with pinpoint tips, indispensable for ity-bity work. But they can be simple too, judging from Pinterest. A caveat about the items on the linked Pinterest page: This is an artist, so use to admire and for inspiration ONLY. Just a quick Google brought up this tutorial from Craftsy. Here’s a start for a new, satisfying craft. And a stash of gifts and/or craft fair items. And here is one of thousands YouTube zipper tutorials. This entry was posted in FIBER ARTS and tagged craft, Etsy, Pinterest, zipper, zipper jewelry. Bookmark the permalink. Do you/have you made any?